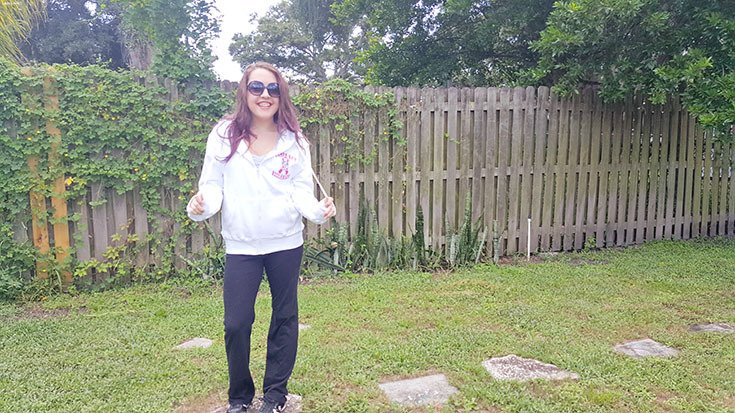 Shopping is one of my favorite things to do, followed closely by tailgating and going to live sporting events. I mean, what's better than a good time, with good friends, rooting on your team? 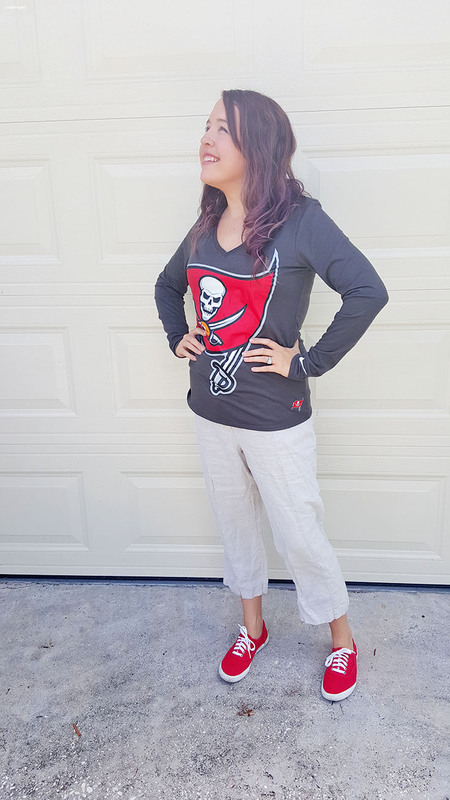 Since Fall is here and I predict a few Buc's games on our agenda this season, I knew I needed to add some fashionable "buccaneer" gear to my closet... because, I mean, you can't cheer on your team without doing it in style, right? So maybe I'm that girl. 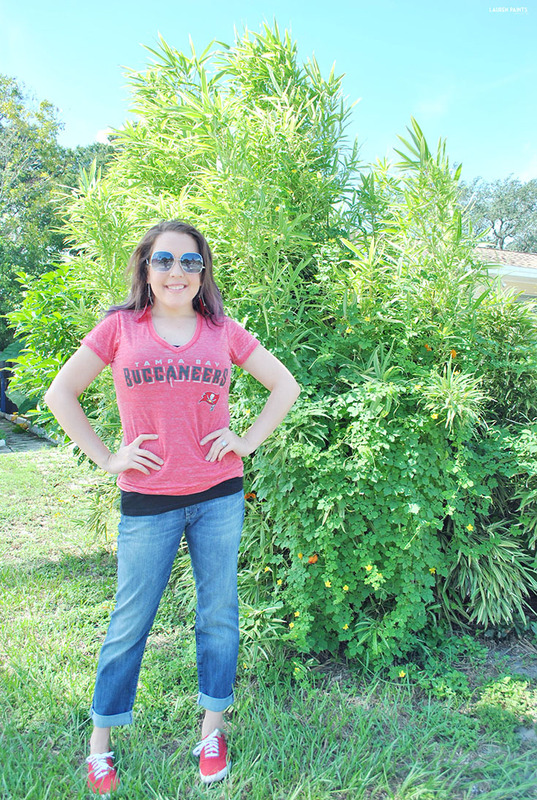 You know the one that likes to dress up for the game and strut her stuff while tailgating... Really, there's no shame in my game, I admit that I love to dress to impress! 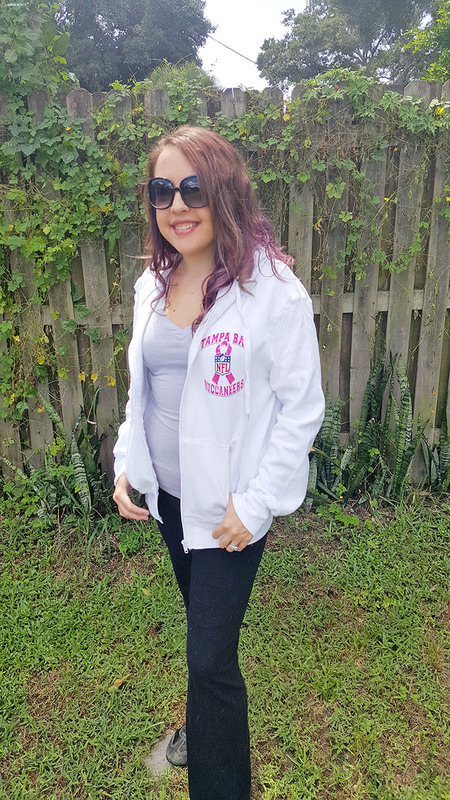 But sometimes I just want to wear jeans and there's no shame in that either, a majority the time I like to spice things up and show my girly-side though... 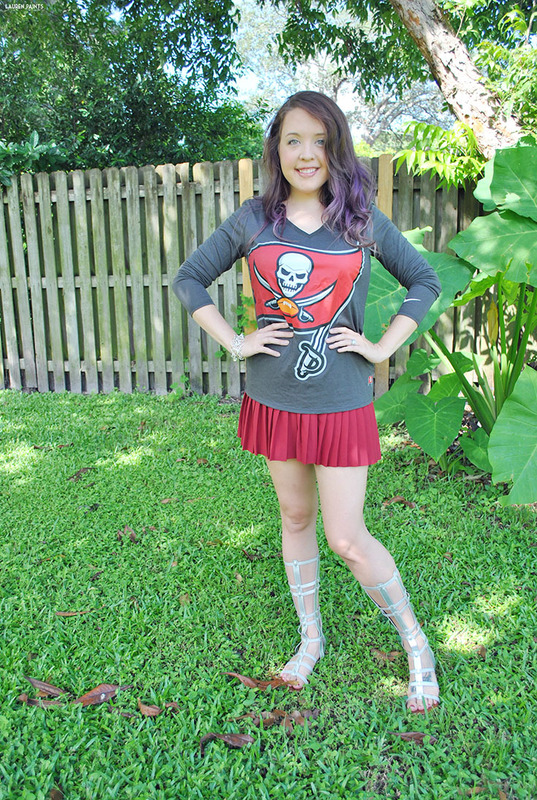 But I may still be guilty of screaming at the ref for making the wrong call while wearing a mini-skirt. It's all about balance, ultimately, ya know? 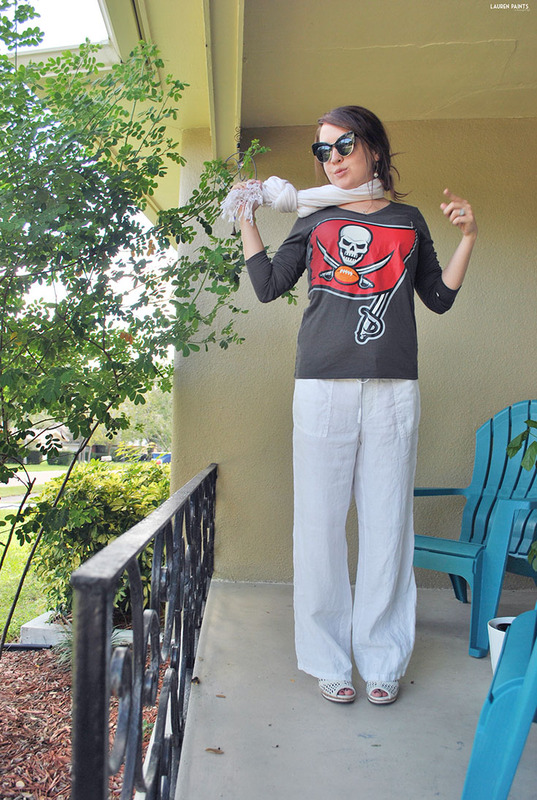 Today I want to share SEVEN game-day ready looks, supporting the good ol' Bucs. 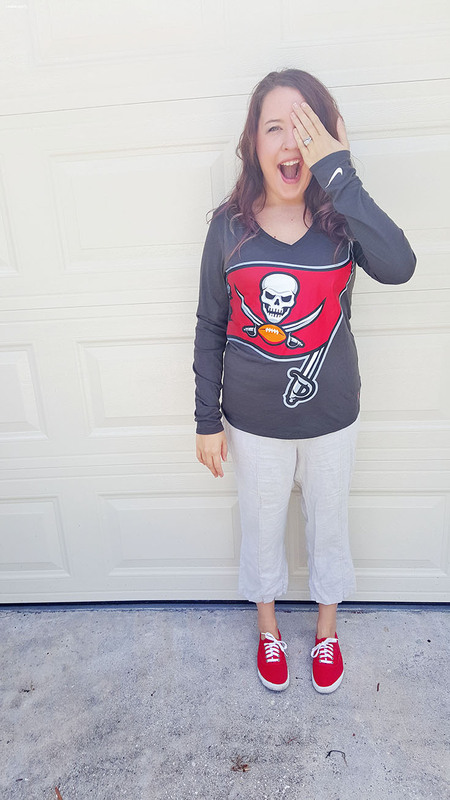 Whether your a fan of the Buccaneers or not, these football fanatic looks are perfect for any girly girl going to the game... just add your favorite NFL gear and you're set for game day! 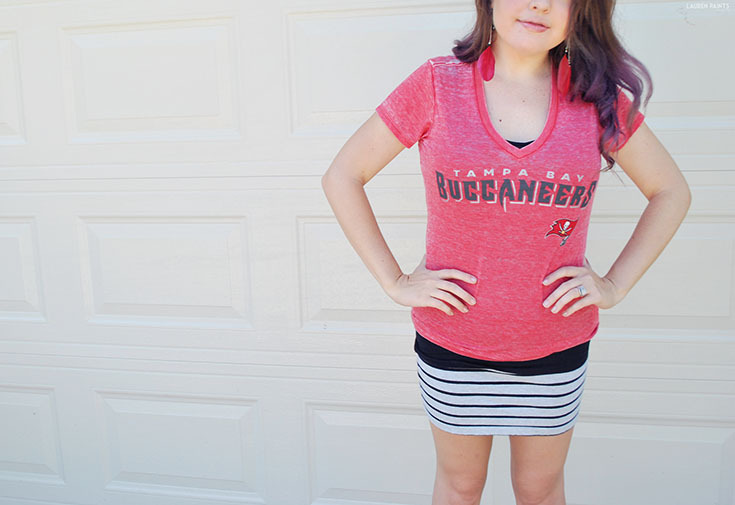 Spice things up and cheer on the team while still showing your inner-fashionista! Look 1: What's Red, Black, Grey & Striped all over? 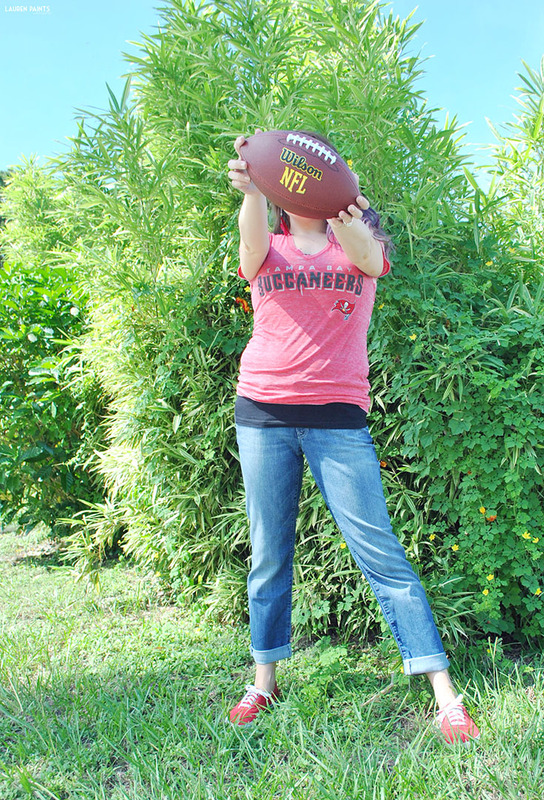 Now that I've shared seven super awesome outfits, I'd love to hear how you dress up for game day? 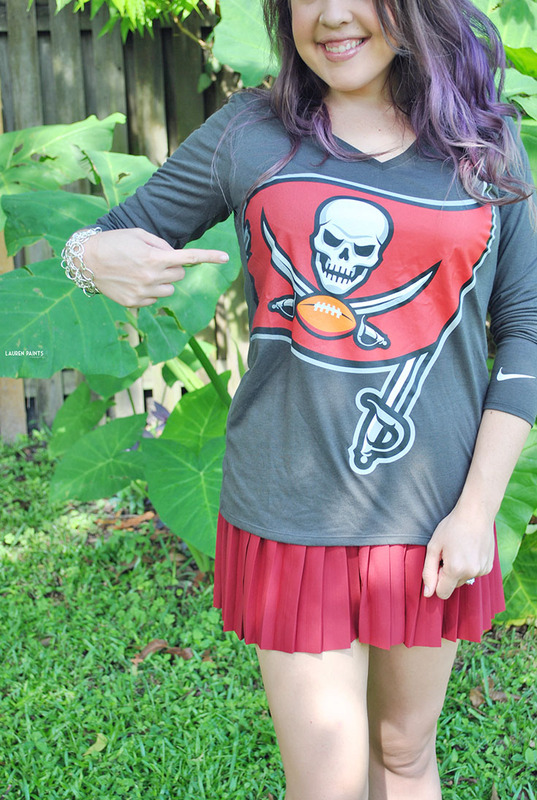 Plus, tell me which NFL team is your absolute favorite in the comments below! 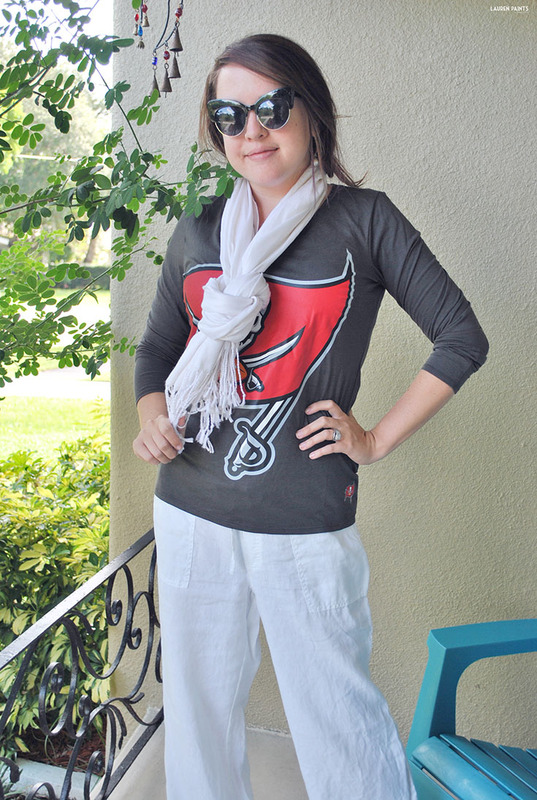 Have you seen the NFL video on how to style the perfect game day outfit? 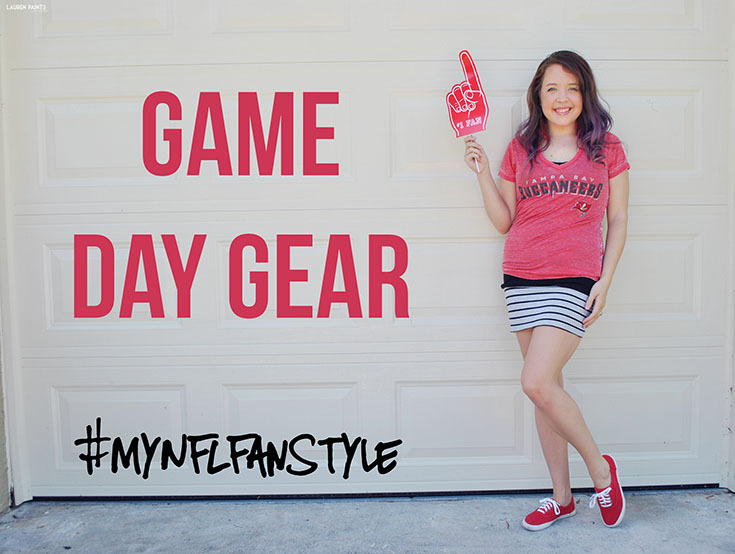 Follow NFLFanStyle on Facebook, Twitter, Pinterest, and Instagram get inspired today!